“All persons who are harmed, regardless of national origin, must receive full, equal, unfettered access to justice,” the memo stated. Suffolk County District Attorney Rachael Rollins issued a memo putting her office in direct conflict with ICE. US Immigration Customs and Enforcement is reportedly expressing frustration with Suffolk County District Attorney Rachael Rollins after she released a policy memo Monday that included plans to halt immigration authorities from interfering with court proceedings. Among her goals, she wrote in the memo, is to prevent the threat of deportation from keeping people from appearing in court. "All persons who are harmed, regardless of national origin, must receive full, equal, unfettered access to justice," the memo stated. Among other strategies, Rollins's 65-page memo states that if her staff encounters federal immigration authorities questioning people or taking them into custody at or near county courthouses, they are to report this to her. Todd M. Lyons, ICE’s acting field office director for enforcement and removal operations in Boston objected to the memo. "Attempts to promote an overall fear or suspicion of law enforcement officers, is a counterproductive and very misguided approach to criminal justice. 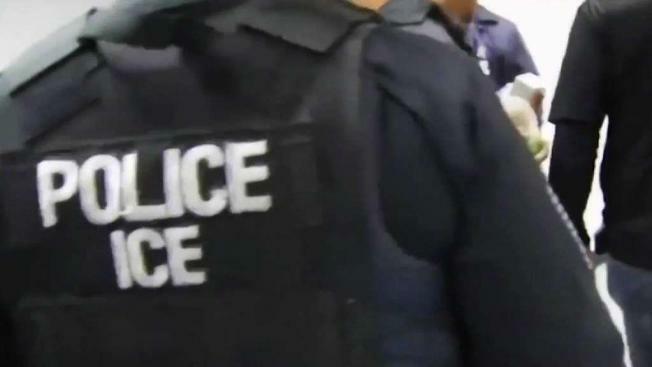 As with other members of law enforcement who work in Suffolk County, the men and women of ICE have a specific mission they are sworn to uphold and they perform that mission with great integrity and honor," he said in a statement. Lyons added that he wished Rollins would "focus her attention more on allegations of those accused of criminal activity than on the men and women of law enforcement who courageously protect our communities every day." These policies were announced as part of a larger strategy to reduce the use of incarceration when sentencing for people facing "low-level, non-violent offenses." This comes in the wake of Rollins objecting to ICE arresting a man at a Boston courthouse in January who had appeared for offenses unrelated to his immigration status. Rollins came under fire from a police organization in December for stating she may decline to prosecute non-violent property crimes.